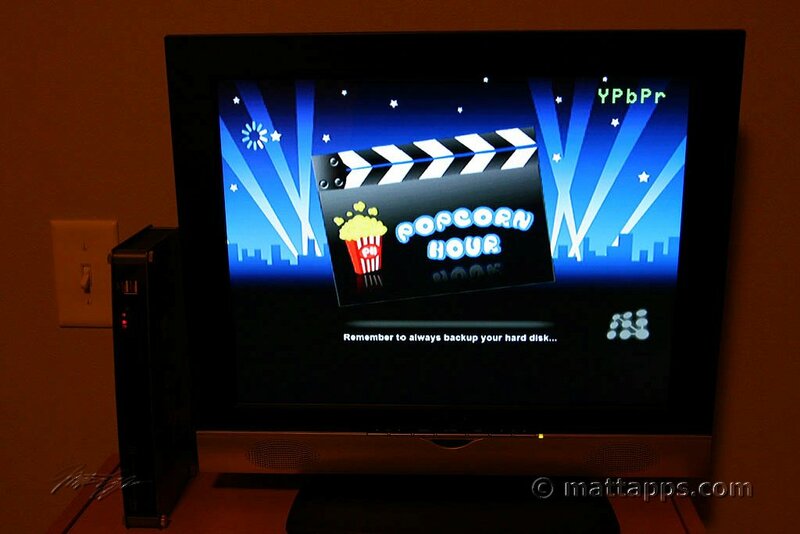 Popcorn Hour, WD TV or Apple TV? So, with my scrapbooking system sorted, my thoughts now turn once more to my unsolved Media Centre thingy. To catch up: I’ve given up on the Mac Mini solution after it delivered nothing but a black screen for the umpteenth time. I’ve had various problems with it, all software related and fixable, but I was getting a bit fed up with the amount of administration it required. I spent more time in screen sharing keeping it ticking over than I did using the remote. 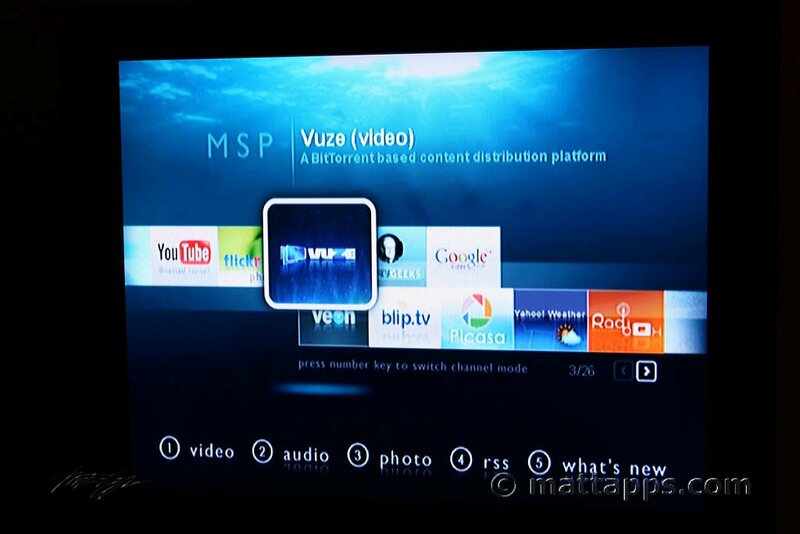 EyeTV in particular threw up problems, from bizarre errors to app updates that caused it to crash at launch. Others may have had better experiences with their Minis, but I’ve had enough. Giving up on the PVR side (I’ll probably end up with a Sky+ box) I’d decided to go the Apple TV route, and I’ve been saving my Amazon Vouchers to get a 160gb version. What I particularly liked about the ATV was the AirTunes function, and that it’s easily hackable with a patchstick. Now that I’m ready to buy, it’s out of stock on Amazon (and seemingly everywhere else too, including the Apple Store). It’s also 2 years since it’s come out, and all this leads me to wonder – will there will be a revision announced at Macworld next week? It’s possible, but so far the rumours have been surrounding iMacs, Mac Mini’s and the supposed iPhone Nano. Rather than a networked machine, the WD TV is a simpler (and substantially cheaper!) affair. You just plug in up to two USB drives with media (such as a WD passport drive and memory stick), and it finds it all and provides a TV interface to play it. It can play just about any format you want to throw at it (with the exception of iTunes DRM’d media of course). It can output HDMI and optical audio. It’s small, cheap (£80 on Amazon.co.uk), and gets the job done. This ‘Networked Media Tank’ looks like another good option, and has a rave review on CNet. It comes Hard Drive-less, and you add whatever size drive to it takes your fancy. So rather than be stuck with Apple’s 160gb drive, 1TB is possible. Looks wise, its quite industrial, but I rather like it (and certainly prefer it to the plasticy looking-like-an-alien trend). Again, it takes every format you can throw it at it, and also integrates extras like a bittorrent client, and content from Flickr and YouTube to name but two. It doesn’t have WiFi, but this can easily be added with a USB dongle. In short, it’s expandable and flexible. 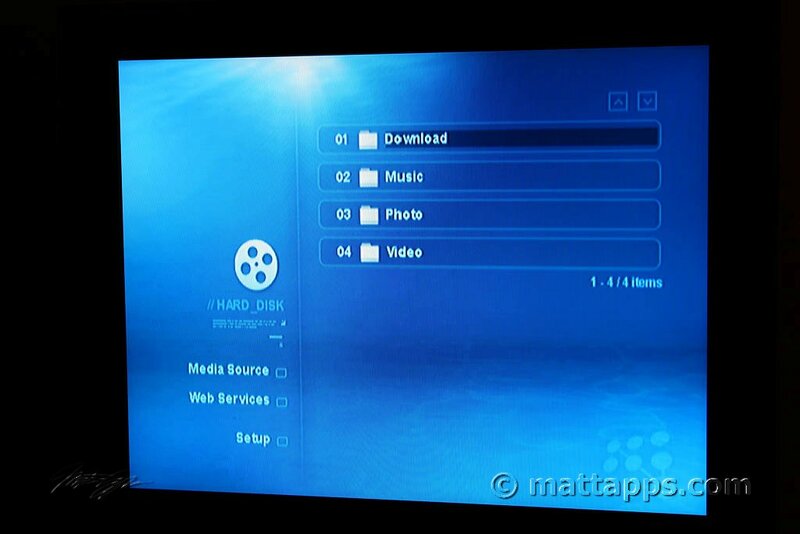 Again, if there is a downside, it’s the interface, and in Popcorn’s case it comes off a little worse than the WD TV. As this blog review shows, some of its screens are better than others. Apparently the menus are constructed from HTML (and CSS? ), and can be hacked, but I’m not sure I want to be going down that route! Neither of these are particularly aimed at OS X users, but as far as I’ve gathered, both will work (or can be made to work without too much hassle). I have a nagging feeling that I will end up with the Apple TV, as that best suits my iTunes centric and UI design fussy world. So, if you have either of these devices, have successfully hacked the Popcorn Hour UI, I’d like to know your thoughts! Likewise, if there is a similar device I should be considering (that doesn’t involve another games console or XMBC), please let me know too!